TOY is a design agency specialized in all-round product and communication services for the toys and educational products industry. 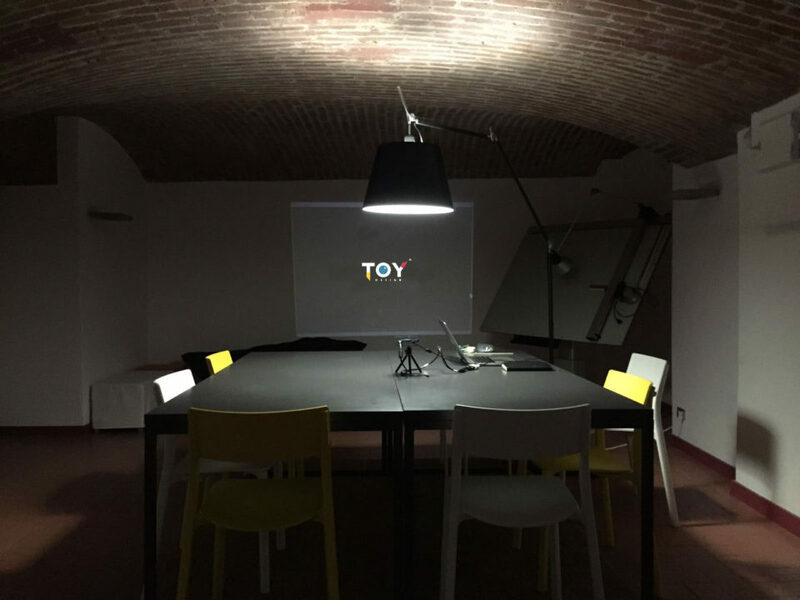 Fabio Guaricci, TOY’s founder, has founded it after more than 10 years of experience both in the toy and in the branding industry. This is why TOY’s trademark is our closeness to the player on one hand and to the market on the other. Bright ideas deserve a good market to bring them in players’ hands. Our creative methodology has been developed and refined year by year to allow companies to reach the creative result through an awareness process that also benefits the brand. We take a marketing brief very seriously and we reinforce it with our creative brief to intercept what is valuable for the consumer, what can be considered a good deal in the shelf. One of our client’s favorites is also that TOY can connect you with a 360° network of professionals to cover the whole process of developing a toy, its communication and promotion. This has allowed us to take care about the startup of new toy companies and the development of crowdfunding campaigns. In a world shifting between the enthusiasm for the endless possibilities of digital technologies and the re-discover of human values, TOY design studio is focussed on design and development of toys and educational products for the new needs of a dynamic and complex society. We put this into practice also cooperating with companies and health institutions starting from sociological, educational and technological starting points in order to create cutting-edge design and long-lasting value for the wealth of future generations. Since 2005 Fabio and TOY design studio have developed innovative ideas for new products, strategies and communication projects. Those meetings have been precious opportunities to relate visions, share dreams, achieve plans. His attitude to stay open and think “out of the box” has helped clients approach new markets, bridge with business opportunities, link demands and create social value while building the brand.